Russo's Pizzeria Ristorante uses their own specialised couriers to deliver their food. Topped with oregano, parmesan and mozzarella cheese. Diced tomato, Spanish onion, basil and garlic dressed with olive oil. Hand cut potato chips lightly fried. Hand cut potato chips lightly fried topped with a cream cheese and shallot sauce. Dried olives with chili, olive oil, herbs and spices served with garlic bread. Crumbed chicken strips lightly fried with your choice of dipping sauce – honey mustard, sweet chilli, barbeque or tomato. King prawns sauteed in garlic and shallots with your choice of Napolitana or cream sauce (chilli also available). All pizzas come topped with oregano, garlic and mozzarella. All pizzas available with tomato or BBQ base. Pizza folded in half with your choice of filling topped with napolitana sauce, parmesan cheese, oregano and garlic. Ham, cabanossi, mild pepperoni, mushroom, onion, capsicum, pineapple and olive. Ham, cabanossi, bacon, ground beef and mild pepperoni. Onions, capsicum, hot pepperoni, cabanossi, jalapeno and hot chilli. Mushroom, capsicum, ham and mild pepperoni. Chicken breast, mushroom, onion and capsicum. Bolognese sauce and parmesan cheese. Hot pepperoni, eggplant, capsicum and pesto. The works. Ham, mild pepperoni, cabanossi, bacon, ground beef, chicken, onion, mushroom, capsicum, olives, pineapple and eggplant. Ham, mushroom, onion, capsicum, artichoke, sun dried tomato, eggplant and feta. Eggplant, olive and parmesan cheese. Mushroom, onion, olives, capsicum and pineapple. Sliced potato, eggplant, sun dried tomato, artichoke and olives. Hot pepperoni, mushroom, onion and capsicum. Hot pepperoni, cabanossi, anchovies, mushroom, olives and hot chilli. Hot pepperoni, anchovies and artichoke. Hot pepperoni, tomato and mushroom. Tomato, feta, pesto and parmesan cheese. Chicken breast, onion, mushroom and sweet chilli sauce. Mushroom, olive, onions, capsicum, artichoke, eggplant and sun dried tomato. Fillet steak topped with avocado, prawns and romano sauce with mixed vegetables and potato. Chicken breast fillet topped with avocado and romano sauce with mixed vegetables and potato. Chicken breast fillet stuffed with ricotta and spinach with mixed vegetables, potato and cream sauce. Barramundi fillet. Grilled or pan fried with mixed vegetables and potato with your choice of lemon butter or garlic butter. Cream cheese and shallot with your choice of meat and sides. Tomato salsa with your choice of meat and sides. Cream, mushroom and bacon with your choice of meat and sides. Tomato salsa and cream (pink sauce) with your choice of meat and sides. Tomato salsa with mushroom, capsicum, eggplant, olives and sun dried tomato with your choice of meat and sides. Cream and mushroom with your choice of meat and sides. Garlic, worcestershire sauce and cream with your choice of meat and sides. Green peppercorns and cream with your choice of meat and sides. Topped with napolitana sauce, eggplant, mozzarella and parmesan cheese with your choice of meat and sides. Topped with cream sauce, ham and cheese with your choice of meat and sides. Topped with king prawns and diane sauce. Meals for children under 10 only. Chicken and mushroom risotto cooked with cream. Mixed seafood risotto with Napolitana sauce. Mixed vegetables risotto with Napolitana sauce. Cannelloni filled with spinach and ricotta topped with Napolitana sauce. Tomato salsa with your choice of pasta. Tomato salsa with minced beef and with your choice of pasta. Tomato salsa with hot chilli and with your choice of pasta. Tomato salsa with mushroom, capsicum, eggplant, olives and sun dried tomato with your choice of pasta. 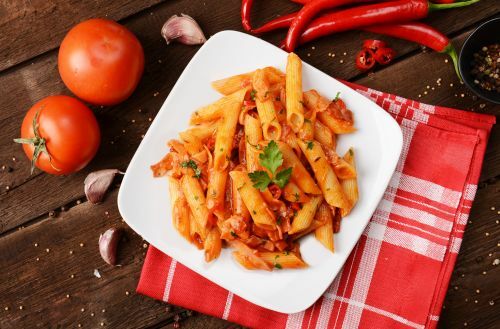 Tomato salsa with ham and garlic with your choice of pasta. Cream sauce, bacon, mushroom and parmesan cheese with your choice of pasta. Cream sauce, bacon, egg and parmesan cheese with your choice of pasta. Cream sauce with mushroom and with your choice of pasta. Cream sauce, pesto and parmesan cheese with your choice of pasta. Tomato salsa and cream sauce (pink sauce) with your choice of pasta. Garlic, herbs, chilli and olive oil with your choice of pasta. Tomato salsa with mixed seafood and with your choice of pasta. Mixed lettuce, tomato, Spanish onion, cucumber, capsicum and olives dressed with balsamic vinegar, olive oil and oregano. Tomato, cucumber, Spanish onion, capsicum, olives and feta dressed with olive oil, lemon juice and oregano. Cos lettuce, bacon, boiled eggs, parmesan cheese, croutons and Caesar dressing. Pizza base topped with nutella and icing sugar. Pizza base topped with nutella, chocolate bits, strawberries and chocolate sauce and icing sugar. Fresh strawberries dipped in chocolate. Fresh strawberries and vanilla ice cream.